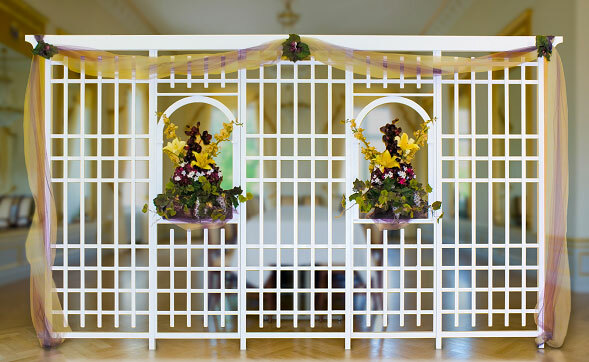 Our portable props help make bridal dreams come true. 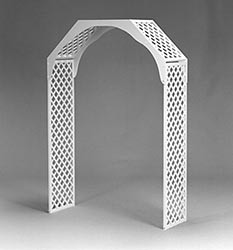 This arch has a heavier framework on the sides and top for greater stability. 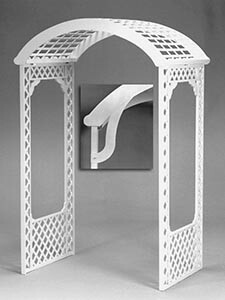 It is available with sides in lattice (shown) or standard (below). As always “no tools needed”. 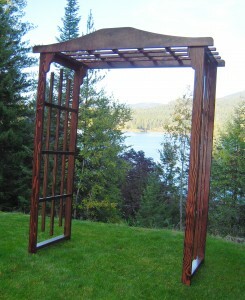 The Cape Winds Arch is shown here in our fruitwood color with standard sides. 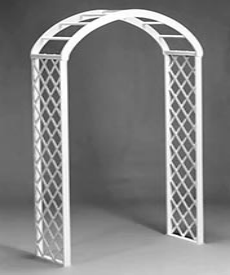 Our unique design makes this arch ideal for weddings and proms. 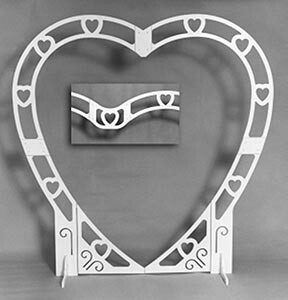 Its heart shape makes a great framing element for cake and wedding pictures. 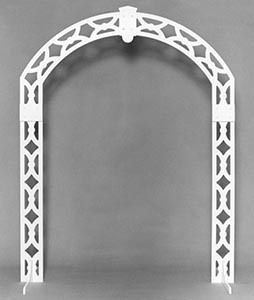 Lower gates swing open on a continous hinge, and its center extension (inset) takes the opening from 50″ to 62″. 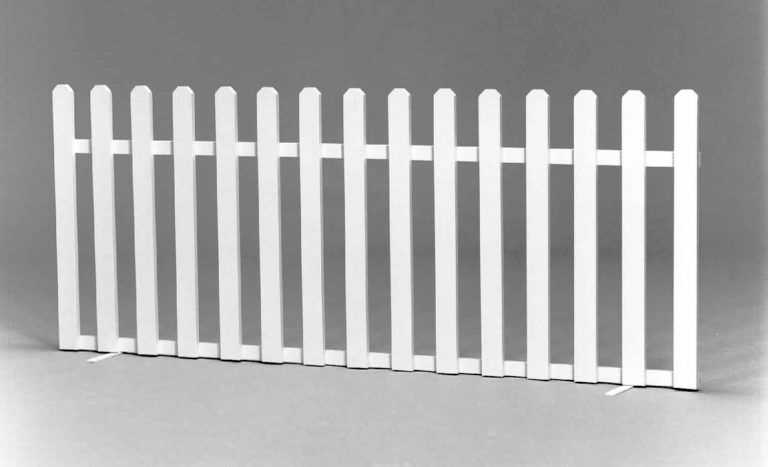 Manufactured from 3/4″ hardwood plywood for durability. No tools are needed for assembly. Attractive lines make this a unique arch. Available in both 20″ and 30″ depth. Partial assembly of top required. Partial assembly of arch top is required. 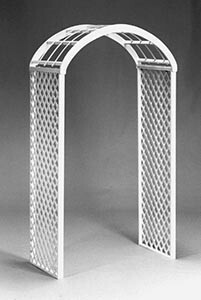 Lattice side panels come fully assembled. Elegant Styling enhances even the most upscale events. One piece construction from 3/4″ hardwood plywood utilizing a continuous piano hinge. The perfect backdrop for a head table or prom pictures. Each panel measures 47” wide, in either 84” or 96” height. 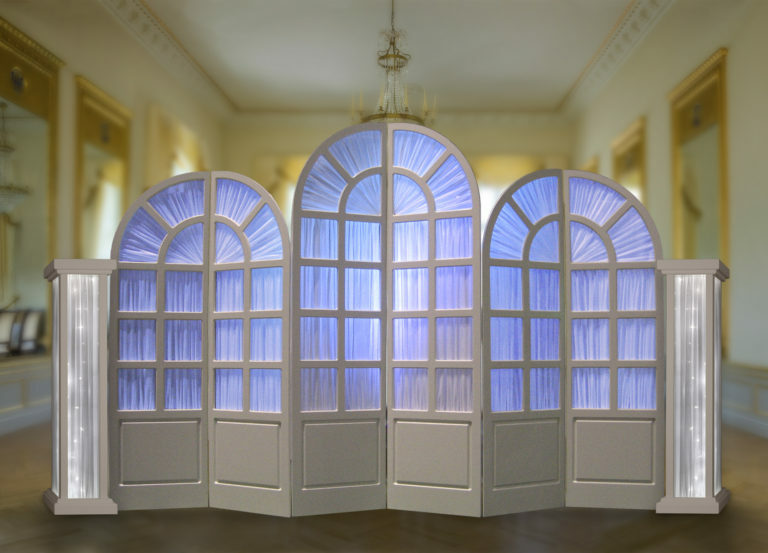 White sheer curtains ( sold separately ) are easily attached and can be backlit in any color. Sunlight Columns are great accents for this backdrop combo. 6 mil plastic transport bags also available. 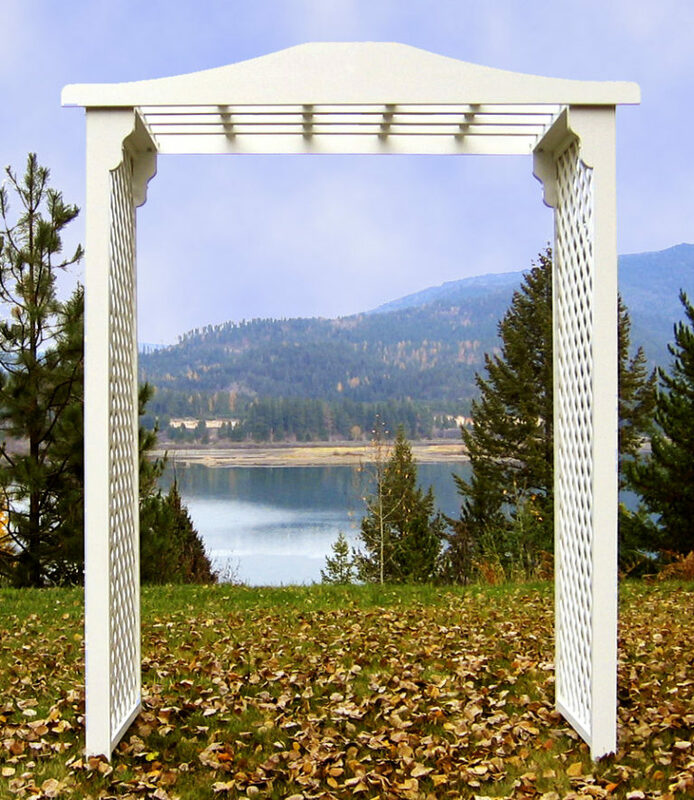 This trellis will transform any area into a beautiful setting. Additional Panels can be added for more coverage. Completely portable, no tools required. 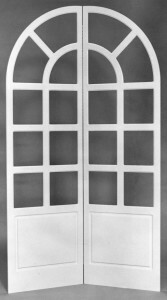 Panels are sold individually and are hinged by us in sets of two, three, or four. 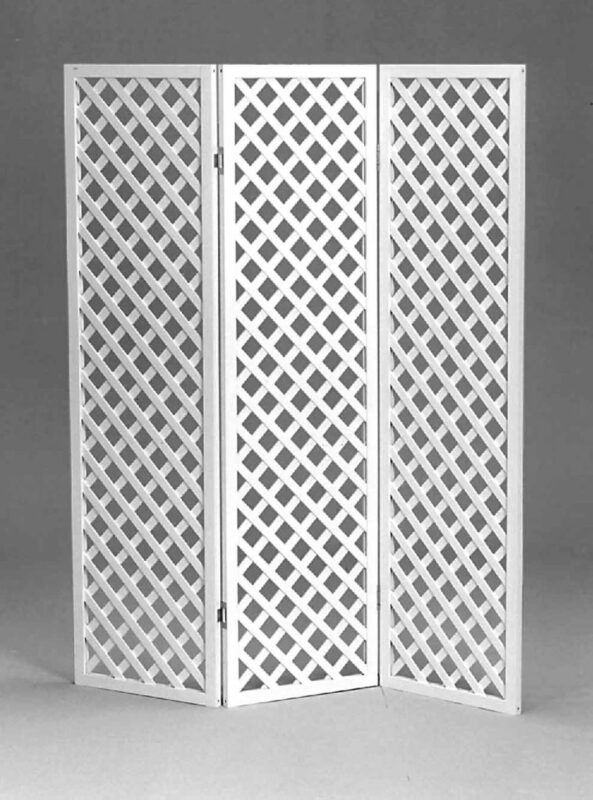 Available in all our standard sizes in lattice or privacy design. Deluxe woven wood. These screens are for complete privacy. 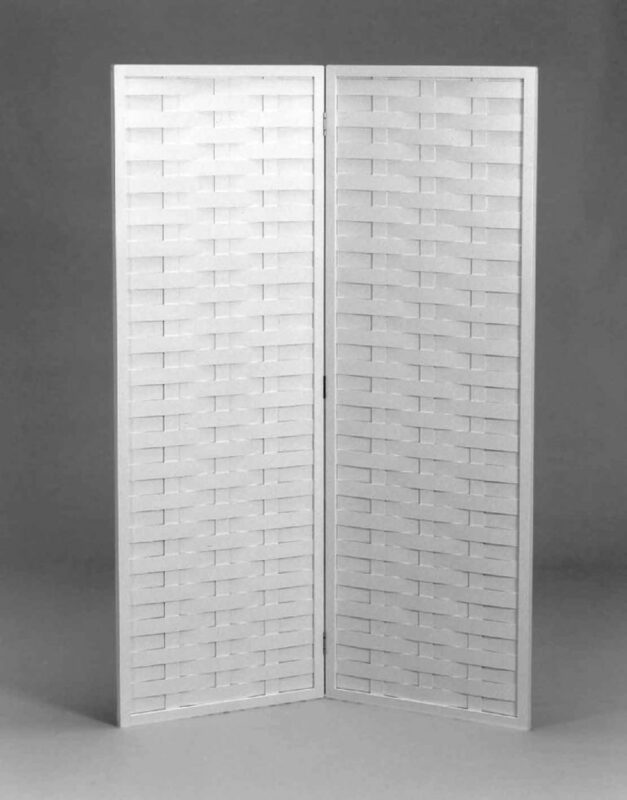 Privacy panels are available in four colors ( from top to bottom ) natural with clear coat, fruitwood, ultra black, and white. These panels have a two coat, hand rubbed lacquer finish for a beautiful natural look. Panels also available in ultra black or custom color match. 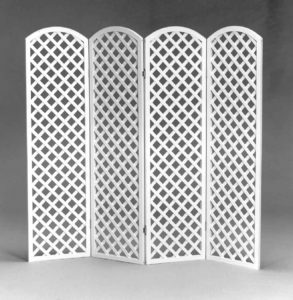 This beautiful array of arched lattice panels can be used where a larger area of coverage is desired. 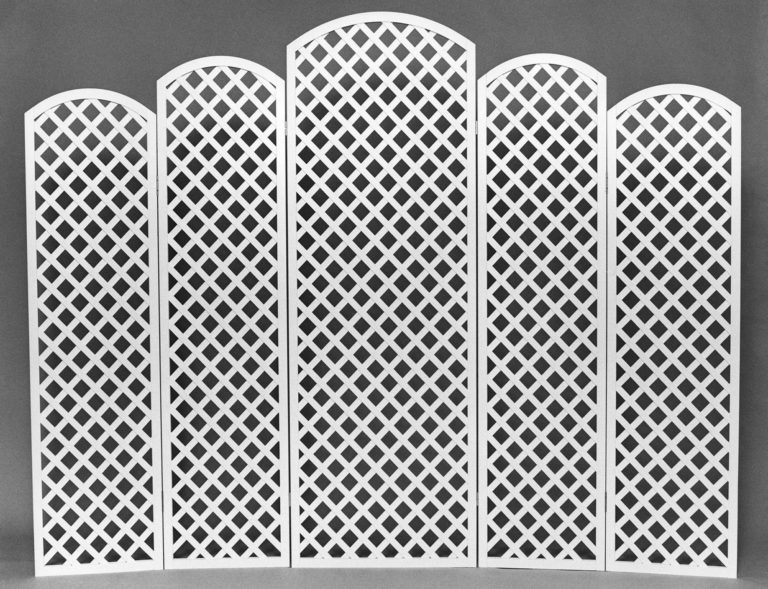 Perfect for: A head table backdrop, Prom or group photos. “Lift off” hinges for ease of transporting/storage. Manufactured from a single piece of 9 ply hardwood. This stacks compactly for ease of storage and transporting. Has two removable feet. Minimum 2. 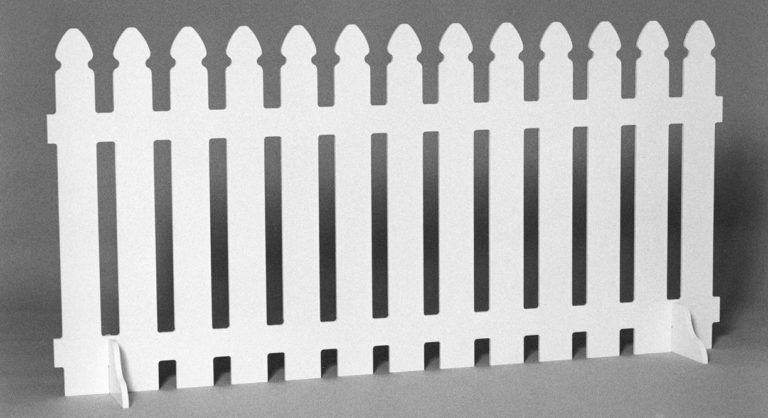 The picket fence adds that finishing touch to any event. It also makes a great window accent.